 The City of Auburndale Public Works Street Division is responsible for all city streets, sidewalks, curbing, lighting, and signage. They maintain and improve upon this valuable infrastructure of the city. They also perform construction, repair and maintenance of the other municipal facilities. To sum up this division maintains all city right a ways and city easements. The city street sweeper also operates under this division of the city and citizens can request a maintenance run on their street by calling the Public Works office at 863-965-5511.